**Warning** There is nothing constructive in this post. I am quite literally ranting about people who criticise my choice to be a runner. Last night I went to the pub after work for someone's leaving drinks. As I hadn't managed to get up early enough in the morning to get my run in, I took my kit to work, with the plan to stay at the pub for a few hours and then run home from the station. I usually run at 10pm in the evenings (as I'm rubbish at getting up before work!) and so running after the pub really wasn't much of an issue for me. However, this meant I'd decided not to drink alcohol and was on the sparkling water. I was happy...chatting, laughing and dancing with everyone...except for one thing - my not drinking seemed to really bother people. I had to justify my reason for not getting drunk i.e I wanted to go for a run later that night. No-one liked my reason - everyone clearly thought I was certifiable - and with some people, it also led to an interrogation and having to explain why I run at all. It made me think about the many conversations I've had with new people over the last couple of years since I started taking part in ultras. What's the common theme if we get onto running? No-one can understand why I run the distances that I do, even more so now if I mention the 100 miler and some people then feel the need to either tell me how bad running is, how much better other sports are, how obsession is unhealthy or that I'm just down right strange. Weirdo. Thankfully, there are some people who aren't so negative and I'm very lucky that Francis and most of my friends are very supportive even if they can't fathom my reasons behind taking part in endurance running, but I do find having to justify myself and my decision to be a runner, to people I barely know, very frustrating. Yes, sometimes I lack the motivation to get off the sofa, sometimes runs can be dull, sometimes they're painful, sometimes it's just generally very hard work. However, every run has positives. 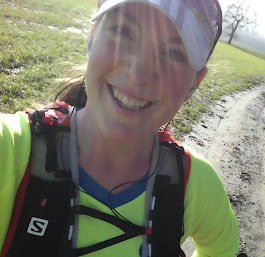 Maybe the next run will bring me closer to my goals, it might be fun or challenging and rewarding, exhilarating even, or take me out into beautiful countryside or maybe it's just one of those runs I needed to clear my head and keep me sane. But the main point is, running is what I choose to do, it's a massive part of my life and I'm really proud of what I've achieved so far so I'd appreciate it if people could stop being so negative about it. Absolutely fine if you don't understand why I run, or wouldn't want to do it yourself - I'm not asking you to come with me - just please stop treating me like a freak for choosing to live my life dedicated to my sport. There...I feel much better for getting that off my chest. Well said Naomi, it really gets my goat when people who couldn't run for a bus tell me about all the bad things and reasons why I shouldn't run, especially as I now have a running injury. Trouble is the same people feel the need to down everything that is good for you, (not drinking, eating clean, exercising in general, going to the gym) the really annoying one is my love of taking the dog for really long walks, or getting up at 5.30am to walk in the dark when it's lovely and quiet - what the hell it's got to do with them I have no idea. It's got to the stage where I refuse to talk about it now, which is a shame, we should be able to share our interests without interrogation or being made to feel an outcast! Inspring post. 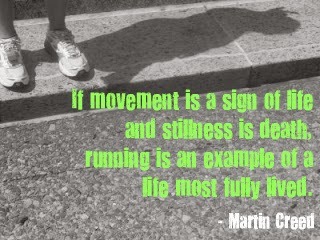 I catch a lot of the same after completing an ultra in 2013. It sounds like you've kept your chin up and that's all you can do. Keep rocking!